In the more than 41 years I spent in law enforcement, I witnessed countless innovations that vastly improved police practices. When I first put on a uniform in 1972, things were very different; you might even say primitive by today’s standards. Calls for service were recorded in a ledger book. There were no Computer Aided Dispatch Systems in those days, fingerprints were rolled in ink, and traffic tickets were hand-written on paper in ticket books. Yes, that’s right, hand written in ticket books. 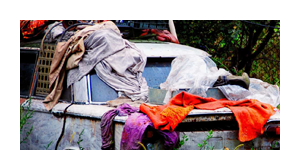 Can you imagine anything so archaic? Well, we’ve come a long way. Today, many of the tasks associated with law enforcement have been automated, there are CADS abound, and fingerprints are scanned. There are dash and body cameras, license plate readers, and cutting-edge communication systems, and for that we can all be thankful, because police work has never been more challenging. Oh, and wait, traffic tickets. What about the traffic tickets? Amazingly, many traffic tickets (and parking tickets for that matter) are still being written by hand. I suppose there are many reasons for this, and, as a sales representative for United Public Safety, I’ve heard countless explanations. Most often, departments cite other priorities when asked why they haven’t made the leap to e-Ticketing, something I certainly understand. Or they say they don’t issue enough citations or tickets to justify the expense. Underlying all of this is a fundamental truth that I have always believed: Someday all parking tickets and traffic citations will be issued electronically. 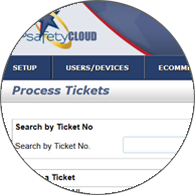 As important as the cost saving aspect of e-Ticketing is, realized in reduced labor, there is an even more compelling reason to issue traffic citations electronically: Safety. Anyone who has served in law enforcement knows well that traffic stops can be among the most dangerous encounters that officers engage in. Aside from the obvious hazards posed by being exposed to oncoming traffic while conducting business on the side of the road, there’s that nagging question that’s always on an officer’s mind, “Who did I just stop? An ordinary citizen that was just going a little too fast or a dangerous criminal with active arrest warrants?” Danger is inherent in an officer’s job, that’s a given. It can never be eliminated, but it can be reduced, and I believe UPSafety can help by limiting the amount of time it takes to complete a traffic stop, and at the same time, increase situational awareness. So how can we achieve this? That’s a road United Public Safety started down some years ago with the introduction of PA ForCite, our MDT-based eCitation solution. 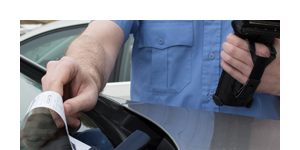 ForCite greatly reduces the amount of time required to write traffic citations. 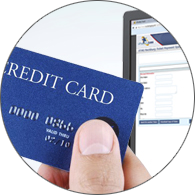 It features license and registration scanning, intuitive auto-populating fields, multiple charge entry, scofflaw notifications, and direct e-filing with the AOPC. There is no doubt in my mind that ForCite is a game-changer, but the game isn’t over. Never satisfied to rest on its laurels, UPSafety was determined to provide even more flexibility to officers conducting traffic stops, and the result was PA ForCite Mobile. 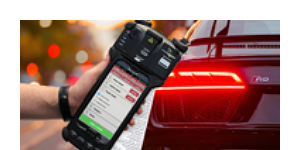 ForCite Mobile utilizes the rugged, proven, N5Scan to issue AOPC approved three-inch traffic citations right from the palm of your hand. With all of the functionality of our MDT-based solution, ForCite Mobile will enable officers to issue citations from inside or outside of their patrol vehicles, and will extend the benefits of electronic ticketing to officers in circumstances where it was previously unavailable, such as motorcycle patrol. For UPSafety, “Blue Lives Matter” is not a new concept. Developing products like ForCite Mobile is at the core of what we do, and you can depend on us to support the law enforcement community with the most affordable, most reliable systems on the market today. Throughout my tenure as Chief of Police, I found it especially satisfying to provide officers with technology that could make their jobs a little easier and possibly save lives. Being part of the UPSafety team, I feel like I’m still doing it!